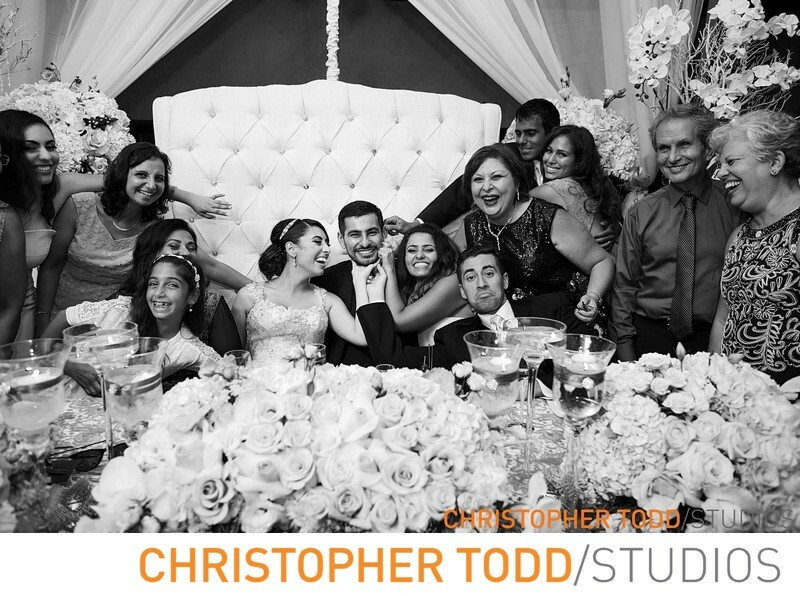 During the wedding reception at the Westin South Coast Plaza I took this fun photo of the bride and groom at their sweetheart table surrounded by aunts, uncles, and cousins. This shot was taken just after the best man speech and champagne toast. Location: 686 Anton Blvd, Costa Mesa, CA 92626. 1/50; f/3.5; ISO 640; 24.0 mm.